Brookings Institution Senior Fellow Mark Dynarski is out with a new report that summarizes some damning new findings about the performance of students receiving school vouchers. 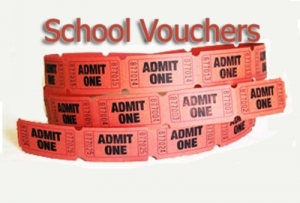 The report, “On negative effects of vouchers,” looked at data from Indiana and Louisiana. The bottom line: Obviously, North Carolina’s experiment with school vouchers remains in its early stages, but these new data provide powerful evidence that the General Assembly’s ongoing, ideologically-driven effort to rapidly expand the program before we have any evidence of success is a move in the wrong direction. NC politians top to bottom are not evidence driven. They make decisions based on their individual opinions or possible the money they will get payed under the table. Their presidential nominee is a perfect reflection of themselves. Members of the General Assembly are not educational experts! Decisions they make should be based on the advice of educational experts–people whose jobs are to keep themselves completely up to date with accurate numbers based on test scores, grades and other data from those who deal with students on a daily basis. These is no room for hidden agendas, personal prejudices or mere opinions that are not backed up by real, unadulterated data. Again, there must be reliance on those who who are in the educational trenches every day.